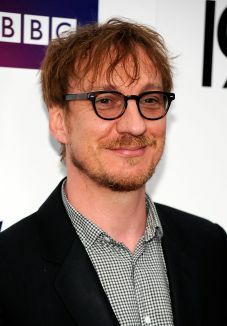 The second of three children, David Thewlis grew up in an apartment above his family's combination toy store and wallpaper shop. He received his training at the Guildhall School of Music and Drama. 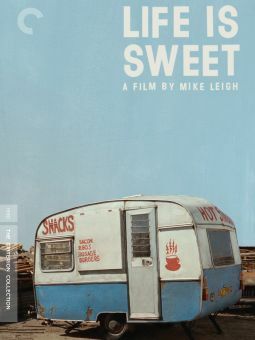 A veteran of the London stage and English television (Prime Suspect 3), Thewlis found his particular cinematic niche as the antihero of director Mike Leigh's Naked (1993). From the moment that Thewlis, playing an indigent from Manchester, showed up unannounced at the doorstep of his old girlfriend and immediately proceeded to verbally trash everyone in sight, the audience knew it wasn't in for a Noël Coward revival. The result of Thewlis's antisocial screen behavior was the unqualified praise of discriminating moviegoers, not to mention awards from the Cannes jury, the New York Film Critics, and the National Society of Film Critics. He went on to demonstrate his versatility in a number of diverse roles, including Paul Verlaine in 1995's Total Eclipse, an animated earthworm in James and the Giant Peach (1996), a mountaineer in Seven Years in Tibet (1997, a role for which the actor was subsequently banned from entering China), and an expatriate British composer living in Rome in Bernardo Bertolucci's Besieged in 1998. Also that year, Thewlis could be seen doing a brief but hilarious turn as a giggling conceptual artist in The Big Lebowski. As rare as it is for an actor to possess the versatility needed to alternate between such adult-oriented fare as director Mike Leigh's Naked and such innocent fun as James and the Giant Peach, Thewlis could be as effective in the former as he was endearing in the latter. Following a chilling performance as the leader of a London gang in the 2002 crime drama Gangster No. 1, Thewlis switched gears somewhat to portray the villain in the made-for-television family adventure Dinotopia shortly thereafter. In 2003, Thewlis expanded his resumé by making his feature directorial debut with Cheeky, a comedy drama concerning a mournful widower (Thewlis) whose life takes a change for the better after appearing in a popular game show of questionable taste. 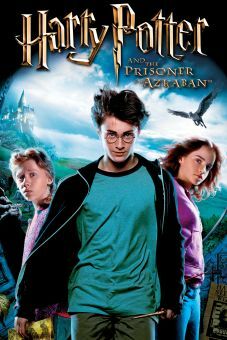 His profile steadily increasing thanks to roles in such high-profile releases as Timeline and Harry Potter and the Prisoner of Azkaban (as Professor Remus Lupin), the actor began to make as big a name for himself in large-scale Hollywood blockbusters as he previously had in intimate independent dramas. Of course, that's not to say that Thewlis had lost his taste for smaller-scale films, just that his skills were now in increased demand stateside as a direct result of his powerful early-career performances. After a busy year in 2005 with roles in the historical dramas Kingdom of Heaven and The New World, Thewlis drifted back into modern times to play a small but pivotal role in an American-shot segment of the international short anthology All the Invisible Children -- a powerful meditation on the modern mistreatment of youth by the increasingly jaded adult population. A brief turn as the Scotland Yard homicide detective trailing Sharon Stone in the belated and ill-fated sequel Basic Instinct 2 may have gone unseen by many fans after the film received considerably negative word of mouth, though a fun turn as the paranoid, bubblegum-chomping reporter hot on the trail of the young Antichrist in the 2006 remake of The Omen gave audiences much more to chew on and offered Thewlis the opportunity to have a bit of fun, to the delight of fans everywhere. The following year, Thewlis reprised his role of Prof. Lupin in Harry Potter and the Order of the Phoenix, and appeared in the title role in The Inner Life of Martin Frost. He could next be seen in The Boy in the Striped Pyjamas, a film adaptation of the John Boyne Holocaust novel, which focuses on the friendship that develops between the child of a Nazi commander at a concentration camp and a young Jewish prisoner. Thewlis enjoyed a high-profile 2011 when the last of the Harry Potter films hit screens, as did other films he was cast in including the Shakespearean drama Anonymous, and Steven Spielberg's Oscar nominated War Horse. Stage name Thewlis is his mother's maiden name. At 16, joined a punk-rock band called Door 66. Enrolled in drama school when his fellow band members announced they wanted to study drama. After filming Seven Years in Tibet with Brad Pitt, he was banned for life from entering China. Originally considered for the role of Quirrell in Harry Potter and the Sorcerer's Stone, before he was cast as Lupin in Harry Potter and the Prisoner of Azkaban. Penned the novel The Late Hector Kipling (2007). Had to stop doing research for his role as a Nazi in The Boy in the Striped Pajamas (2008) because the subject matter was giving him bad dreams. Fans sometimes mistake him for Welsh actor Rhys Ifans.